In the third last paragraph of this wonderful book Cal Newport says "To leave the distracted masses to join the focused few, I'm arguing, is a transformative experience." Cal won the argument with me. Studying and applying this book has for me been transformative. Early in this book Cal says: "A deep life is a good life." I agree. For me the quest to live a deeper life began 5 years ago when I set a goal to travel for business less, and to do meaningful work with less clients while working from home, or being with people no more than an hour and half from my home. Integrating 'less but better' into my personal and business life helped me to do more valuable work with my clients. Integrating 'Deep Work', in my own best way, has enabled me to increase my value even more. "Deep Work: Professional activities performed in a state of distraction free concentration that push your cognitive capabilities to their limit. 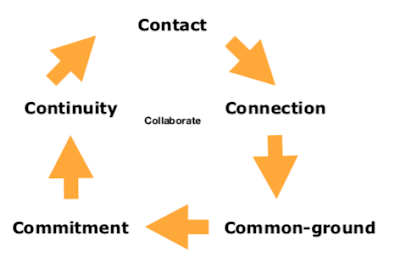 These efforts create new value, improve your skill, and are hard to replicate." "Shallow Work: Noncognitively demanding, logistical style tasks, often performed while distracted. These efforts tend to not create much new value in the world, and are easy to replicate." 1) More time and energy to do meaningful work that's rare and highly valued by other people. 2) Less distraction and therefore more joy in the moment. 3) A new and vital understanding of attention and that our brains construct our worldview based on what we pay attention to. What I witness in most workplaces is that many people are distracted more often than not. (the misuse and abuse of smart phones and email, and addiction to social media are three key ways we get distracted). 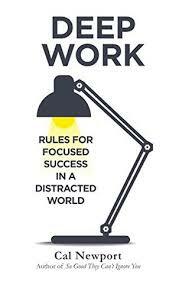 Distraction means that the most valuable work is not getting done. A consequence is that value required is not being consistently delivered. It follows therefore that the value of the business is far less than it should be. Who will you become? What will you do next? "A commitment to deep work is not a moral stance and it's not a philosophical statement - it is instead a pragmatic recognition that the ability to concentrate is a skill that gets valuable things done."